I know I've mentioned before that I love weddings - especially the fringed-boho'd-ballooned-streamer'd-flower-crowned type. 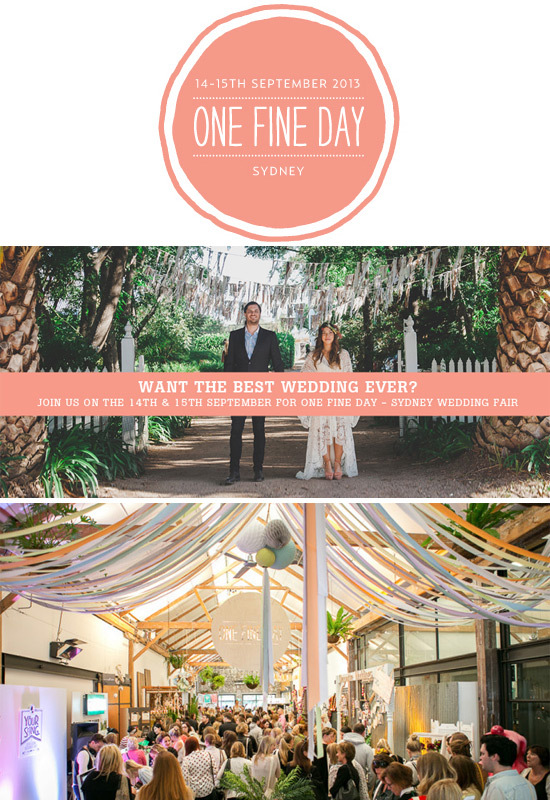 If you or a loved one is loved up and planning a wedding, make sure you head to Sun Studios in Alexandria, NSW this weekend for the loveliest of wedding fairs - One Fine Day. It's an intimate and chic event with super-creative wedding experts showcasing their services for design-savvy couples. It's so much more than a traditional bridal expo. Expect amazing inspiration, acoustic music, glasses of bubbly, food tastings, fashion runway shows and utter gorgeousness.